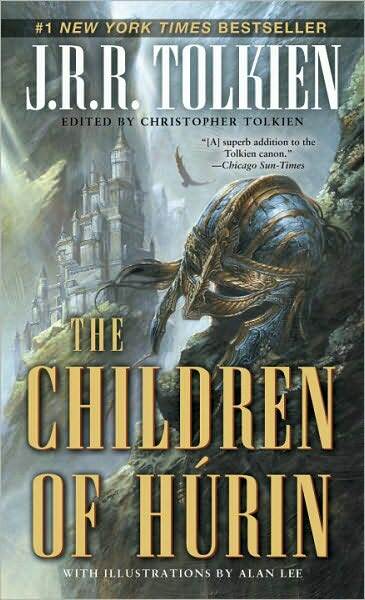 I’ve gotten halfway through The Children of Hurin by J. R. R. Tolkien and edited by his son Christopher Tolkien. 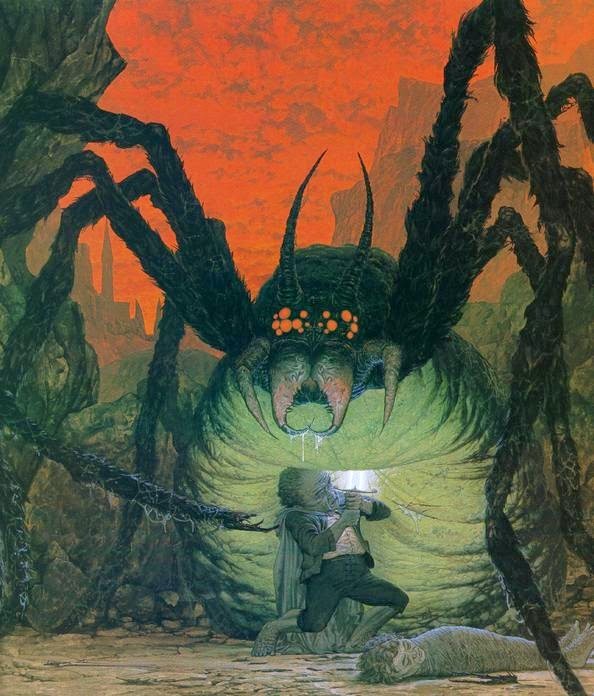 So far it exudes a style and mood at variance with other works of Tolkien. It feels more like a Greek tragedy or Viking saga: it has the style of the latter and the tragic flaws of the former. None of Tolkien’s eucatastrophe is present therein, unless we count the happy death of Androg, who died a better man than he lived. 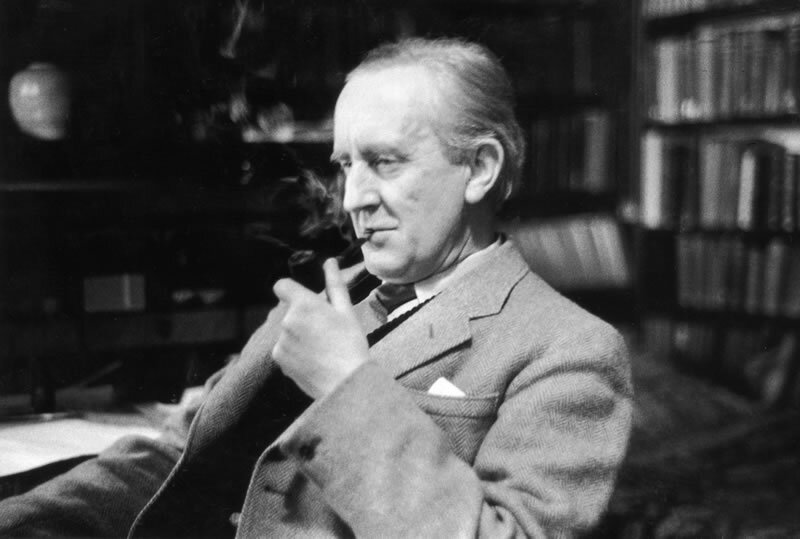 If it were not for this happy death, I should doubt that the famous Tolkien really wrote the story. Little else relieves one from the heavy sense of sorrow hanging over the action. Joy or even humor is missing from the work. 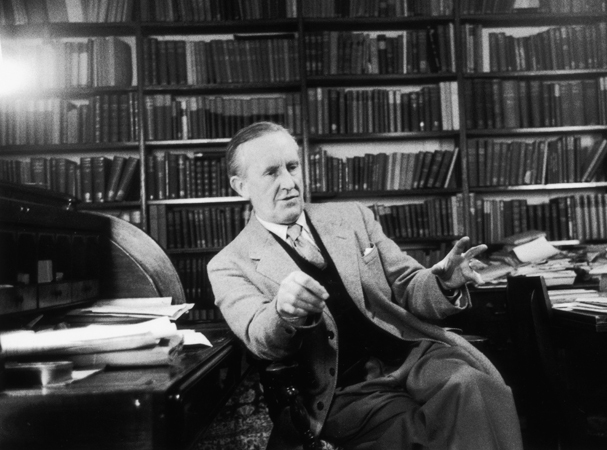 Tolkien’s major work, The Lord of the Rings, can get pretty dark at times, but its characters defy their desperate circumstances with joy, humor, or even glory. Boromir’s death lost some of its sting by the exuberant courage of his last stand. Homely humor from Samwise Gamgee brightened up Sam and Frodo’s trek through Mordor. How about the orc slaying game played between Legolas and Gimli at the desperate Battle of Helm’s Deep? Those of you who also follow me on Medieval Otaku know that I’ve placed that blog on hiatus. Of course, that need not mean that I shall quit blogging here–though, the thought did cross my mind. 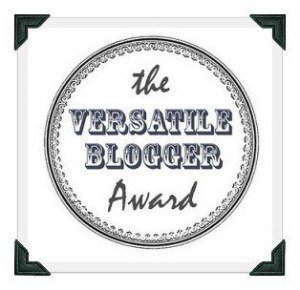 That blog was placed on hold so that I might read more, and how better to may one understand what one reads more than by writing about it–especially if people comment on my ideas? And then black despair came down on him, and Sam bowed to the ground, and drew his grey hood over his head, and night came into his heart, and he knew no more. How many better images of utter despair are there in literature? How many of these are as succinct? In a single sentence, images of crushing darkness are added upon one another until the light of the intellect is extinguished. Black despair presses down on Sam from without, the drawing of the grey hood over his head shows that despair has taken a hold on his mind, and lastly the night coming into his heart saliently conveys the image of darkness as all-encompassing and pervasive. How much more so when one recalls that this takes place in a lightless tunnel? Anyone else like how Tolkien names the two traditional seats of thought in this sentence? The heart and the head are also the two traditional seats of the soul. The heart and the head, in that they point to the soul or the form of man, show the immersion of his mind in black despair. Well, I found this passage really cool, but what do my dear readers think? 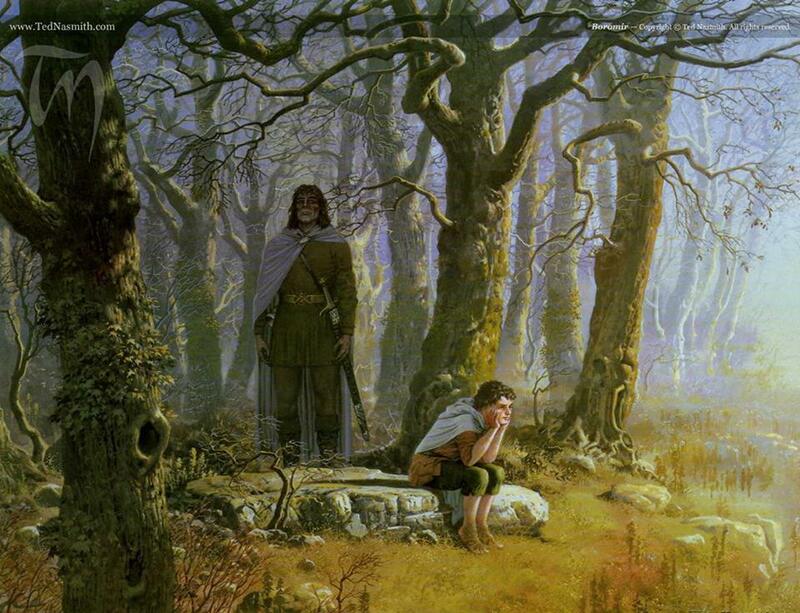 Any other ways such grim despair might have been present in Tolkien’s life? 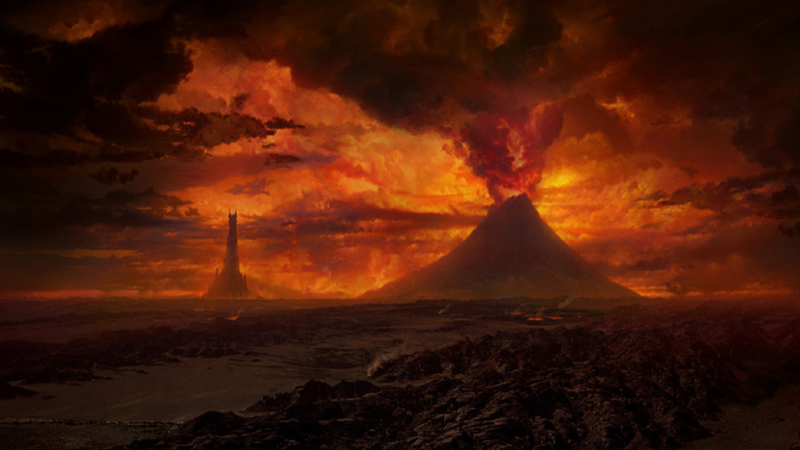 It has been very famously said by Tolkien that The Lord of the Rings was a Catholic fairy tale: first unconsciously, then consciously so in the revision. Reading Lord of the Rings for the fourth time now, the Catholicity of the work sticks out like a sore thumb to me. In particular, the conversation between Gandalf and Frodo in The Fellowship of the Ring contains brilliant use of Catholic imagery and spirituality, which lays out the recurrent themes of the work. Frodo drew the ring out of his pocket again and looked at it…It was an admirable thing and altogether precious. When he took it out he had intended to fling it from him into the very hottest part of the fire. But he found now that he could not do so, not without a great struggle…and then with an effort of will he made a movement, as if to cast it away–but he found that he had put it back in his pocket. 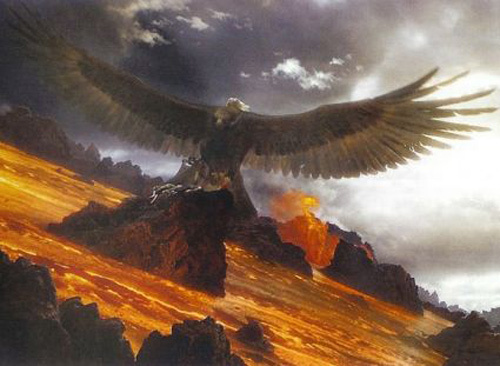 Frodo later protests that he really wants to destroy it, but grace acting upon nature, the formation of will power through developing good habits–is necessary for overcoming sin. And so, we have the concept of a long journey, which symbolizes a life of resisting temptation and striving to do the right. As a matter of fact, Bilbo’s very, very long life symbolizes God’s mercy: even though Bilbo cannot cast away the ring, he is given a very long time to do so, which results in the eventual triumph of grace. But, the Ring’s ability to make one invisible symbolizes how sin destroys charity and weakens faith. We see from Gollum’s back story that his use of the ring led to people distrusting him and eventually exiling him. Also, since all sin indicates deficiency of faith, the sinner, while he sins, might imagine himself invisible to God. Instead, God still sees the sinner, and, worse yet, the sinner becomes more apparent to his enemies and more easily disturbed by them, which is excellently displayed in Peter Jackson’s movies. 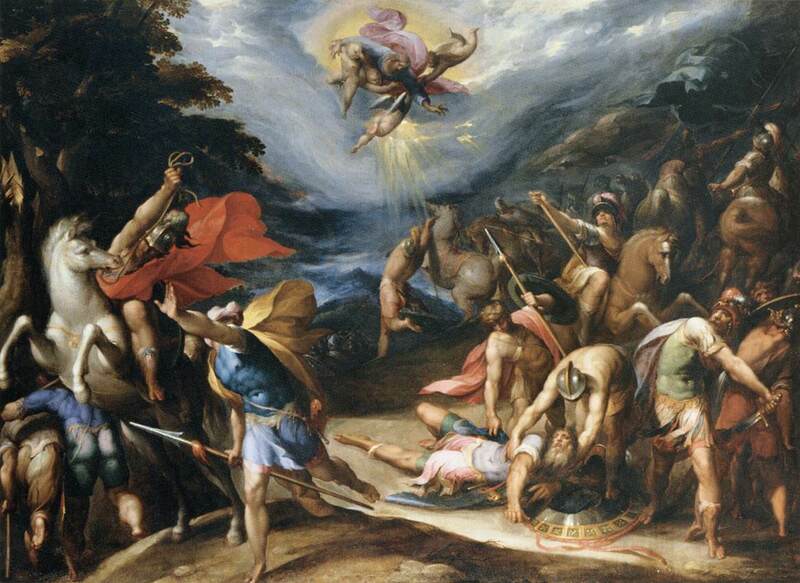 Then again, the theme of spiritual acedia and sinners preferring darkness to light (John 3:19) is apparent in Gollum’s story and what happens to the ring-bearers. After all, all ring bearers start to feel “thin” and generally become weary of life. This is due to hiding from Life Illimitable by continuing in sin–even if apparently trifling. Gollum even hates the presence of the sun and hides himself in caves! Then, sinners lie rather than face the truth, as Gollum does, and so further enter the darkness encircling them. Darkness itself promises “great secrets” (p. 68), but Satan “is a liar and the father of lies” (John 8:44); therefore, all his promises are empty. The reward for sinning is nothing but guilt and pain: nothingness itself. But, there is always hope, and there is always a part of the sinner reaching for the Light, as Gandalf avers. This is the case even when the case is most desperate–as with Gollum. On the other hand, Tolkien sets out hope for sinners in the form of Charity: “Pity? It was Pity that stayed [Bilbo’s] hand. Pity, and Mercy: not to strike without need. And he had been well rewarded, Frodo. Be sure that he took so little hurt from the evil, and escaped in the end, because he began his ownership of the Ring so. With Pity” (p. 73). This echoes Luke 7:47: “For this reason I say to you, her sins, which are many, have been forgiven, for she loved much; but he who is forgiven little, loves little.” As much as any sin breaks the laws of God, which are based on charity and derive from Charity Himself, charity covers many sins. Gandalf’s further remarks on the pity Bilbo showed Gollum show the idea that God can save anyone. Only to be picked up by the most unlikely person imaginable: Bilbo from the Shire! Behind that there was something else at work, beyond any design of the Ring-maker. I can put it no plainer than by saying that Bilbo was meant to find the ring, and not by its maker. In which case, you were also meant to have it. And that may be an encouraging thought. God’s presence may not always be felt, but we can trust that He is always there and will give us the strength to carry out his will. God can even turn good out of evil for His glory. This passage also reveals another attribute of God: He uses the weak things of the world to shame the strong. “When I am weak, then truly I am strong” (2 Corinthians 21:10). 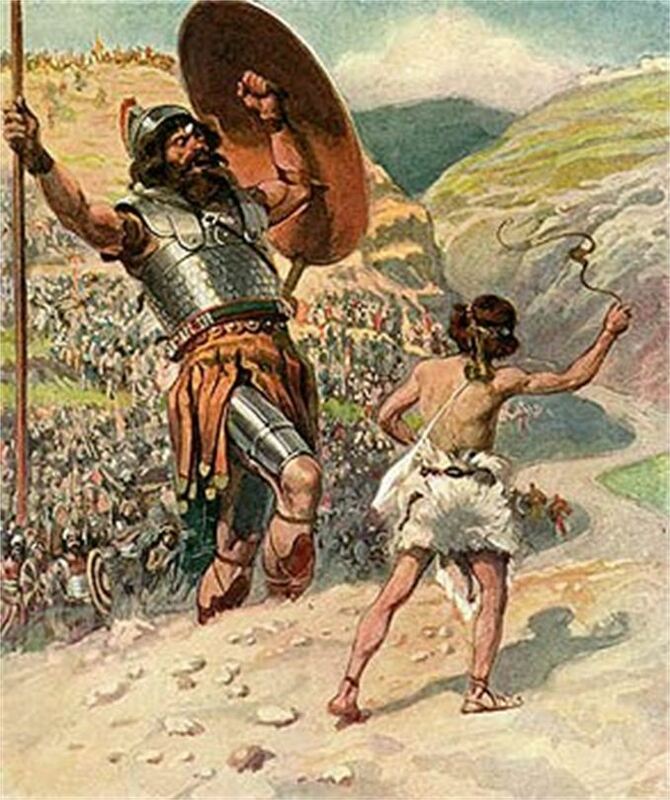 It is also symbolic of David and Goliath. Three other Catholic symbols I have picked up on from this conversation were the Cain and Abel imagery between Gollum and the friend he murders, Deagol, the Men of Westernesse as the Jews, and therefore, Aragorn of the kingly line of the Westernesse, as the Son of David, whose return symbolizes the Second Coming. Lastly, the juxtaposition of Bilbo and Gollum reminds one of the sheep and the goats in Matthew 25, whose greatest difference is that the former showed charity to their fellow men while the latter did not. 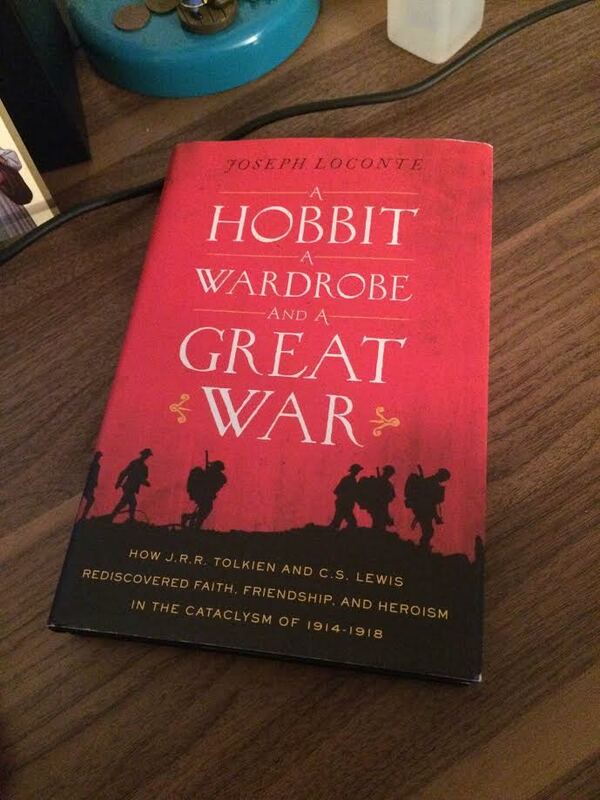 But, there is so much to the Lord of the Rings that it could fill many pages of commentary. A truly remarkable work!